In today’s episode of the liberated lifestyle, I speak to Bryn Gohl, the owner of Red lights Rising, about a fascinating health technology which has the power to enhance your health across so many levels. Believe it or not, red light has the power to heal whatever tissue you shine upon. Sound crazy? Well, the science suggests otherwise, with over 1800 studies now demonstrating the impressive healing power of red light. In this interview, we dig deep into why they work and how you can use them to your advantage at home. This remarkable technology is now remarkably available, to you, at home, for a fraction of the cost of a medical grade low-level laser device. 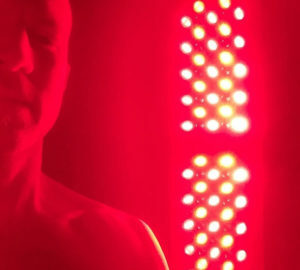 Personally, I use red lights every day to speed up healing, facilitate recovery and optimise performance. I’ve been blown away by the results that I’ve seen in my health, and I’m excited about the development of this new wave of technology, the field of photobiomodulation and what it means for you, and your health. This one is a must listen. Check it out and let me know your thoughts in the comments section below, I’d love to hear from you. 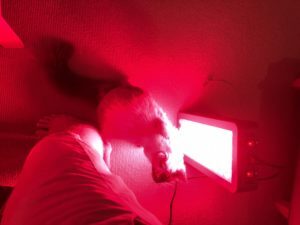 PS – As I stand here typing this, I have my red light machine shining on my legs my cat has got in on the action. He does this every time! I wonder if he innately knows that red light is good for him? Bryan Gohl is one of the founders of Red Light Rising. A company that is passionate about health and wellbeing. Send this article to a friend... Click HERE!